About two months ago, I got The Call. And no, it wasn’t my agent, or my publisher, or Ed McMahon from beyond the grave to inform me I’d won an unfathomable amount of cash from Publishers Clearinghouse. It was a Facebook message from a dear friend with an invitation to guest on her multi-author, culinary mystery blog. I accepted on the spot, of course. I’d actually appeared once before on Mystery Lovers Kitchen, around the time the second book in my Ladies Smythe & Westin series pubbed, and I can assure you that not a single person was poisoned by my Orange-Frosted Sunshine Cookies. They were delicious, if I may say so. But only four of the three dozen I tested were pretty enough to photograph. After I’d shot those four cookies from every angle, I left them on the kitchen counter as a thank-you for the friend who’d let me use her designer kitchen for the day (more on kitchen-borrowing later). I took the remaining tins of orange-frosted crumbs home with me and ate them. Every. Single. One. It’s not that I can’t cook (although my husband is the chef in our house). It’s just that whatever I make tends to look…not so perfect. Even the sandwiches I packed each night for my kids’ lunchboxes years ago looked terrible. And then there was the sad, baseball-themed cake I made for my son’s Cub Scout fundraiser, with the frosting that literally pooled on the plate and surrounding table. Nightmare. 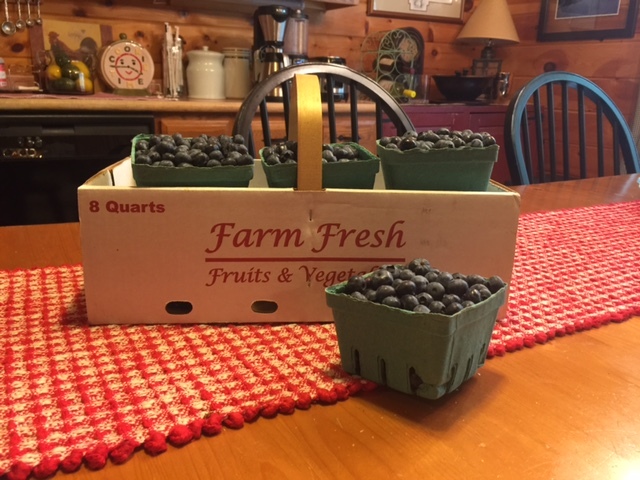 For this latest culinary project, I decided on a blueberry theme, because the post was scheduled for mid-July and I have fond memories of childhood summers spent blueberry-picking in Maine (so does my older sleuth Dorothy, coincidentally). Also, my New York daughter who cooks like Julia Child pointed out that I already own matching blueberry dishware (thanks, L.L. Bean!). And really, who doesn’t love blueberries? Yum. Unfortunately, there was a looming logistics problem. The reason I’d “borrowed” my friend’s designer kitchen the last time was that my own kitchen is all-pine and super dark, unless there is snow outside. Our ancient oven cooks way too fast. And…we have 1980s-pink counters. (In real estate, we call that questionable hue “salmon.”) Unfortunately, my friend had recently sold her house, so it wouldn’t be available for a photo shoot this time. And another friend with a gorgeous kitchen was having back surgery. I’d just have to use my own cocina—and pray the flash on my cell phone camera would work for once. As go-time approached and I headed to extricate my purple-and-black sundress from my closet (Look, Ma—no blueberry stains! ), I suddenly realized I had a new problem. Thanks to this year’s extended winter, the blueberries in our yard were not yet… blue. The grocery store was also a bust. Miraculously, though, I found a U-pick place a few towns over with a sign advertising berries. When I turned up the long drive and stopped at the quaint, American-flag draped barn, there were neither berries nor customers in sight. But just as I snapped a few pictures in the ninety-degree heat, the farmer appeared with an armload of baskets for me to start picking in a field about a mile farther down. (Ummm….) Luckily, he had several pints of beautiful, very blue berries back in the barn. I thanked him profusely and promised to return the baskets asap. I had a lot of fun with the actual recipes. They were truly easy-breezy and my family is currently enjoying blueberry iced tea (I’ve already made more batches), blueberry lemonade, blueberry-watermelon salad, blueberry-lemon-oatmeal cookies (a second batch of those also somehow materialized), and a basic blueberry sauce. My body is now positively zinging with antioxidants and Vitamin K.
I took most of the photos outside, which worked out well. 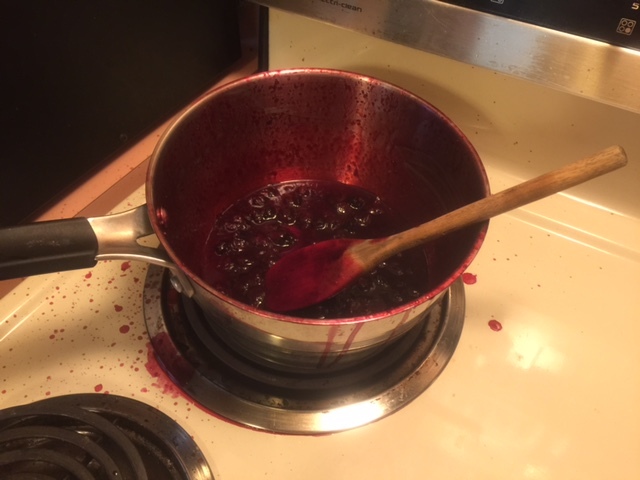 And I only messed up on the actual cooking once, when the blueberries came to a boil just a teensy bit sooner than expected while I was chasing the dog. But the best part? After all of that worrying about trying to achieve blueberry perfection, readers seemed to enjoy the recipes and I made many wonderful new friends. And I might even try that baseball-cake frosting again someday. In the meantime, bring on more blueberries! Tags: blueberries, cooking, cozy mystery, culinary mystery, Ladies Smythe & Westin, Maine, Mystery Lovers Kitchen, Permanently Booked, Summer fun. Bookmark the permalink. I am definitely a casual cook. My stuff is rarely worthy of photographs, nor is my kitchen fancy. And while I don’t have a favorite blueberry treat, I love them and add them to apple pies, waffles, and anything else I can. Marla, I never thought about adding blueberries to apple pie! Note to self. I enjoyed your post on MLK yesterday but enjoyed this one just as much… if not more for the humor in sharing your “behind the scenes”! I love to cook and do so very often but my favorite way to consume blueberries is straight from the container (errr, after washing of course)! Thanks for the kind words, Kim! And you are a blueberry purist. What a great post! 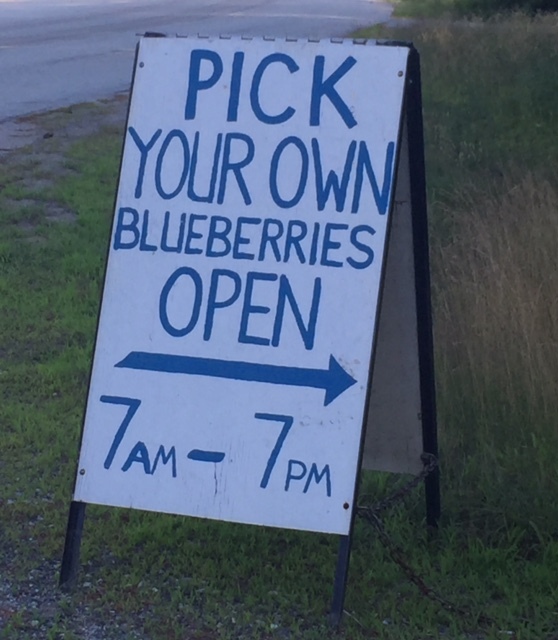 I love how you almost had to pick your own blueberries. Clearly you don’t have a Trader Joe’s near you. I bought about two pounds of them for $5.99. What I’d give for a Trader Joe’s! There’s one going in about 45 mins. away–right next door to Whole Foods. You must get lots of blueberries year-round, right? Think how healthy I’d be if I lived in CA. I don’t think casual covers my cooking. It doesn’t happen period. Too busy with other stuff. Great post, Lisa! You know I love me some cookies, and these look delicious! And I was just going through recipes for peach tea, but the blueberry tea sounds really good! As far as recipes, the thing I do most often with blueberries is throw them in a smoothie with strawberries and banana. I will have to make us some to stash away in our rooms at a conference…24-hour cookies! And peaches…yum. Coming up soon! How fun! I am very definitely a casual cook. I distinctly remember trying to make a Winne-the-Pooh shaped cake for my daughter’s first birthday. While it tasted wonderful, the aesthetic was lacking. After that, I decided the local bakery was my best friend when it came to gorgeously decorated baked goods. I am a serious cook. Even though I have the tiniest kitchen ever for making a full meal. Does over 100 cookbooks tell you anything? All of those blueberry mentions are making me hungry for dessert right now, Hestia! (And your blog is awesome.) Did you know that Cleo Coyle was the dear friend I was referring to at the beginning of my post? I also happen to be a huge reader fan of hers. Or…that haunted mansion! I’m sure it has a great kitchen. I’m a casual cook. I do like to make & bake, but they never look pretty. No posting pictures of my cooking adventures online. Hmm, this could be be a whole new blog post!! I’m definitely a casual cook, though if I had world enough and time, I’d love to take a class and, you know, be better. Yes! Love the inside peek and the dedication to making it perfect. The one time I had to have a recipe for a Facebook event, Valerie Burns had to give it to me. So I am seriously in awe of everyone who creates these amazing recipes. Can you put in a good word for me with Valerie?